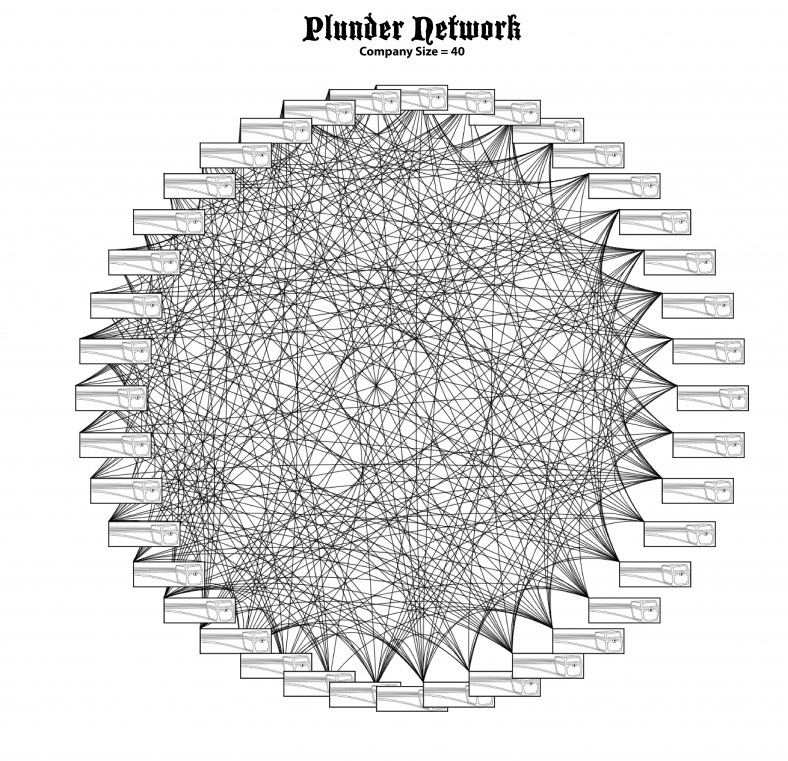 Plunder Ventures has experienced enormous growth over the past 6 months. We are now approaching a crew of 50 people. There have been a ton of great applicants for our Web Design and Web Programming/Computer Science Ninja Internships. a) The # of deals we can close in a given week, month, year. c) Cost of development activities. d) The amount that a Ninja can execute in a given mission. e) Ninja’s end results: the organizational value and individual’s value. The distinction between cost and value. Two individuals face one another, with the symbol representing the individual being “*”, and the direction of the individual is marked by the arrow <– and –> . s: SK: a, b, c, d. $T: 50 hours/week. eR: $20/hour. fT: 10 hours/week. b: SK: e, f, g, h. $T: 50 hours/week. eR: $20/hour. fT: 10 hours/week. How do we move the line of “perceived value” from 4-8 to 15? Well, first off, you should always offer more value than your price, so we should really be aiming to communicate value in the range of 16 – 32 or higher. How do we move the slider? We need to ask the customer what they value, or make an educated guess as to what it is that the customer values. We then set to work on helping the customer understand why something is more valuable than they currently perceive. Many individuals will be skeptical and suspicious, and while you may know that the customer will get a great deal of benefits, you first need to reduce the perception of risk. Again, everyone’s a little different. What one person might value or risk varies greatly on the personal characteristics of the individual. There are a few ways that you can demonstrate value mathematically. i. addition: add up all the elements of value ii. multiplication demonstrate value with a sample, which will influence your perception of a larger quantity. If you demonstrate the value, then you increased the perceived benefit, and reduce the risk. There are ways many ways you can demonstrate value that convince the individual that benefits are desirable qualitatively, but with most large purchases, you must demonstrate the value quantitatively. That is to say, with numbers that illustrate the magnetite of the value or benefit, when compared to the buyer’s cost – the price as well as the individual’s time. First off, let’s remove the individuals time as a cost. In fact, lets reverse the deduction of value that the buyer receives from waiting, and flip that around so that the buyer enjoys time spent with the seller. It’s not about only buying from your cronies. Let’s be clear. It’s about changing the value equation for the individual decision maker. Every moment that you spend with someone should result in both parties feeling as though they gained more in terms of knowledge, connections, opportunities, skills, capabilities, ideas, humour, as a result of spending time with someone that they like. However, if you are perceived as harassing, pestering, complicating, creating work, distracting, time-consuming, difficult to understand, difficult to agree with, difficult to relate to, argumentative, lewd, disrespectful, distasteful, unpleasant of odor, unoriginal, or uninteresting, the individual will immediately make a decision to stem the time-cost, often before even hearing you out on your proposition. Now that’s you’ve impressed your prospect with your wit, quickness to grasp and relate to the individual’s wants & needs, and most importantly, you different, bold, against-the-current ideas that both pique the interest of the prospect, and allow you to move to phase 2. If you can manage to hold the attention of the individual after the approach such that they want to know more about what you have to offer, it’s time to quantify the value. First off, as the seller, you’re going to need to know what what the individual values. Find out by asking questions. The more you know about the individual’s situation, circumstances, and preferences, the better able you will be to communicate a value proposition that results in the most perceived value for that individual. Ask the individual what they’ve seen in the market place. Ask them if they have any friends who have bought the product before. Ask them what features they are interested in only if they are well immersed with. Never lead with a feature. Lead with a question. What’s the secret? Create a product that over-delivers on value, and you’ll have more negotiating room. However, by simply helping the prospect better understand the value received, you can accomplish more than by making the product better alone. Putting off good decisions is a cost to the buyer, because it increases the amount of time that the individual has to wait without receiving benefits. Now, let’s call the top trader, “Trader Jim.” Trader Jim is a seller of a product. Jim’s cost is represented with the vertical line closest to him. The second trader, let’s call her “Trader Mary” is buying. She does not care about the cost, but only the benefit. Now, in order for an organization to grow in the future, it must have satisfied customers. But for an organization to thrive, it must have overly-satisfied customers.